I’m currently reading a biography of Leonardo Da Vinci written by Walter Isaacson, who also wrote a biography of Apple founder Steve Jobs. Da Vinci was an amazing man (I’m certain he’d be a street photographer were he alive today, but that’s a discussion for another day). We know so much about Da Vinci because of the voluminous note and sketchbooks he kept, many of which have survived since his death. 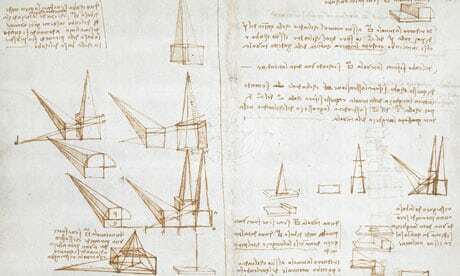 According to Isaacson, more than a quarter of his notebooks, more than 7000 pages, remain available to us some 500 years after Da Vinci’s death. Meanwhile, in researching his biography of Steve Jobs, with Job’s assistance, almost all of Job’s emails from the 1990’s were found to be unrecoverable. This entry was posted in Film photography, Philosophy of Photography and tagged Leonardo Da Vinci on November 8, 2017 by Leicaphila. Reminds me of my fax machine as was… it became impossible to see what had been written, never mind read or interpret any of it just a short time later. Yet another example of half-baked ideas full of promise but released too soon – or is that too late? Digital rot is today’s term…the ever marching path of obsolete technology. Remember the 8 inch floppy, followed by 5 inch, 3.5 inch, HD & double-sided discs? WordPerfect & WordStar? RIFF & CGM format? How about finding just the hardware to access those old files, let alone software that will work…for today’s machines? If only printing was enough! Problem is, a print is no negative or transparency, and copying prints limits you to the quality of both the print, the operator as well as the system used to get there. Enlarging from prints just shows how poorly paper holds detail information. Basically, it holds smudges. Rob: I like the hybrid solution. Shoot film, retain the negative. You’ll always have the ability to digitize the negative in the future, utilizing the latest technology to maximize its output, and you have an original negative you can file away for archival purposes. Careful. The “photographers” (OK, dickheads) on Dpreview will pummel you mercilessly if you suggest film is more archival than their digital files, lovingly processed via their “work flow” and backed up on multiple cloud servers and multi-terrabyte drives in their house. And they are assured that their children will continue to back up their files and transfer to whatever media is in use decades hence. Hahaha, I worked in a government laboratory with professional tech support, and we could not read old media only a decade old. There is some magical and wishful thinking that assumes anyone will care about anything we made once we are gone. Live for now and use what brings you pleasure. Like the proverbial cockroach, good paper and negatives will survive. I’ve re-begun the practice of shooting a few well chosen film images each time I go out somewhere interesting. This gives me a permanent record of the highlights of my life, which is really how it was done in the old days. Negs are saved and scans and prints are made, and my photo albums grow one roll at a time. Any idea how many human work, ideas or even cultures are disapeared ? As if this is an excuse not to attempt to transmit culture forward? Stop worrying about what will be of interest to people 500 years from now, because you can’t know. I can say with certainty that whatever they find – an old letter between friends, or my pictures of Italian manhole covers – it’ll be a lot more interesting and informational than nothing. Obliquely: film was not foreseen by Da Vinci. Nor dpreview, for that matter.